They arrive at Lima's coast shortly before dawn and wade into the Pacific Ocean, seeking relief from the ailments doctors have been unable to cure. Some come in groups, jumping, laughing and running along the shore. Others bathe alone silently in the calm, gray sea. Under overcast skies at Playa de Pescadores, or Fishermen's Beach, the bathers practice thalassotherapy, which derives from the Greek "thalasso," for "sea," and draws on the ocean's healing properties. Most of the bathers practice an informal, self-directed sea therapy. Others work with leaders such as natural therapy promoter Jose Cusquisiban. "The sea is the pharmacy of humanity," said Cusquisiban. "It has many minerals, vitamins." He has his patients jog barefoot on the sand. "Then we make a harmonious circle of prayer. 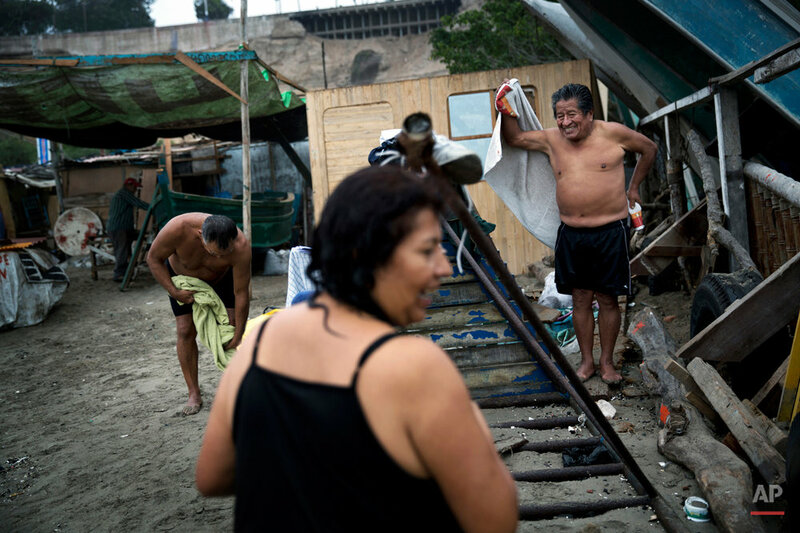 Afterward, we sing, we practice laugh therapy, we hug and finally we enter the sea and teach those who don't know how to swim," Cusquisiban said. Other medical practitioners at the beach include chiropractor Felix Retamoso, who treats people for back problems. 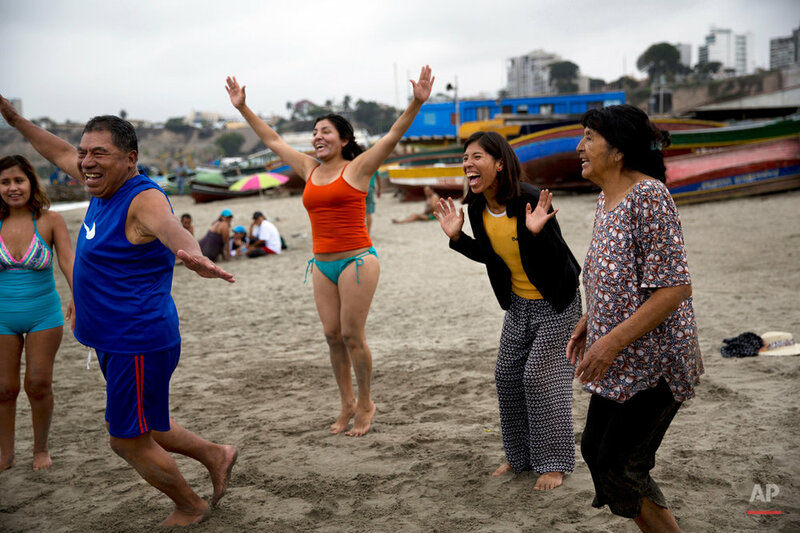 Oswaldo Salaverry, an expert at Peru's National Institute of Health in intercultural medicine — the combination of native and Western medicine — said that "being in contact with the sea, with cleaner air, with a certain type of sand, can grant general health benefits." Salaverry said there is no evidence that it cures chronic illnesses. But the people who come here have faith in the sea. Sitting on the beach recently, 25-year-old Gisela Sanchez described how rheumatoid arthritis in her joints makes her feel "as if my bones were breaking." She's been unable to walk for four years and at times isn't even strong enough to hold a glass of water. 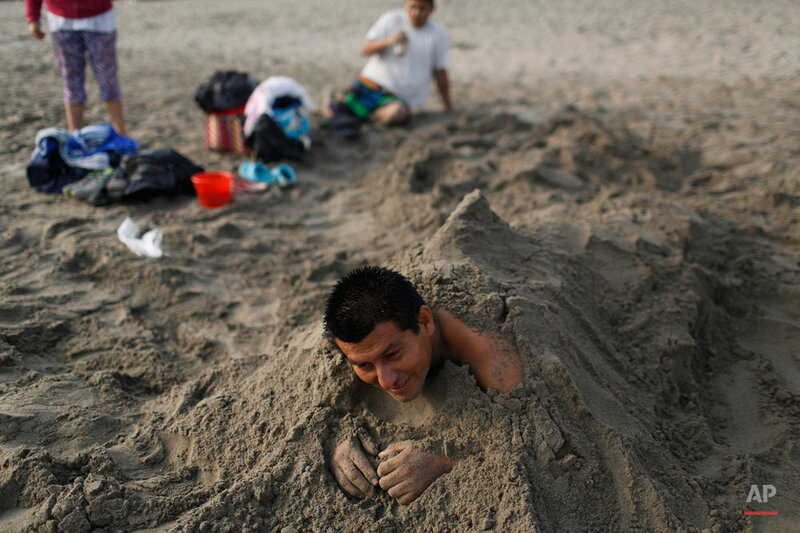 "The sand calms the inflammation in my joints and the sea gives me tranquility," said Sanchez, who traveled from Patapo, a village at the foot of the Andes mountains about 700 kilometers (1,690 miles) north of Lima. Other bathers include Berto Nestaris, a 55-year-old sociologist. He smears himself with sand — a massage he says helps his circulation and nervous system. Graciela Meneses, 67, works out in the sea using a makeshift float, and says it has helped her lose 39 kilograms (85 pounds). Fabian Espinel said he has been coming to the beach early every morning for 10 years to treat his gout. The 65-year-old also feeds the birds while he's here. "The sea heals," he said, "gives strength, is essential." 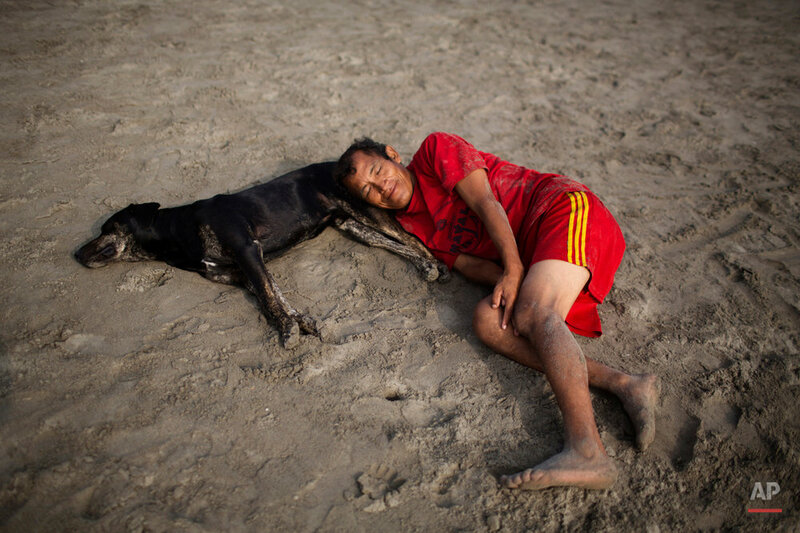 Text from the AP news story, AP PHOTOS: Peruvians seek relief from ills at the seaside.